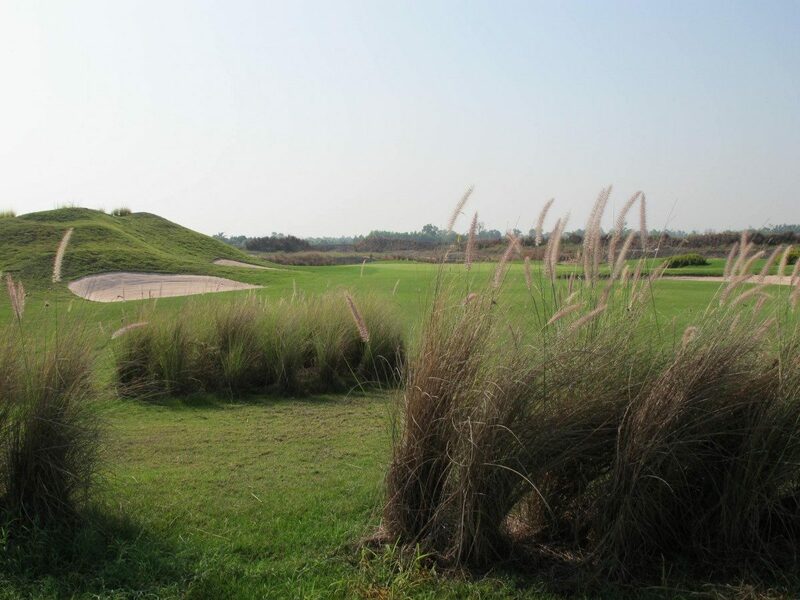 Damaged by the great floods in December 2011, Asia’s first and only replica course, The Royal Gems Golf City, is now reopened in Bangkok’s outskirts. Imagine playing famous holes as the ‘church pew bunkers” at Oakmont Country Club, the “Island Green” at TPC Sawgrass, Royal Troon’s “Postage Stamp”, and the “Road Hole” of St. Andrews Old Course? If they are not enough to tantalize your appetitive for great golf holes, then maybe the back nine of Augusta National including “Amen Corner” will. Last week, when playing Royal Gems Golf City with some friends, I had a laugh and I placed a ball in the exact spot off the right of the #10 fairway that Bubba Watson hit to win the playoff in The Masters. Not only is it difficult to get the ball back to the fairway, but I have no idea how Bubba could possibly make the green to get up and down in two. This is really impossible and goes to show you what an amazing shot Bubba hit. Then two holes later I tried to hit the green on the short par-3 12th. As Tom Watson once said “this hole was made for suckers who insist in going for it.” Add me to this list as after 5 attempts I could only manage either getting stuck in the bunker over the green or worse short and wet. Here is the complete hole-by-hole rundown of the new Royal Gems Golf City. Anyone golfing in Bangkok should have a go at The Royal Gems Golf City. The real holes might be better, but I bet you will have a blast playing these 18 replicas. Note as of May 2012 a temporary clubhouse is in use. While adequate for Thailand golf visitors, the permanent facility will only be fully operational towards the later part of the year.